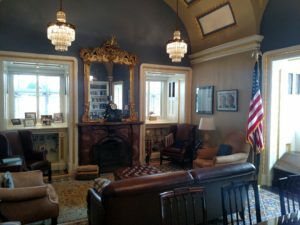 This post is part of a series on the new Democratic House and Western Massachusetts. WASHINGTON—On the television across US Representative James McGovern’s Rules Committee office was Georgia Congressman John Lewis. McGovern watched respectfully as his colleague, a civil rights icon who marched with Martin Luther King, made a final pitch for H.R.1, a sweeping reform of ethics, campaign finance and election laws. The For the People Act, which the House passed later that day, continues the spirit of Lewis’ lifelong cause. However, the terms of its debate came together in the Rules Committee. As that panel’s chair, McGovern also hopes to change the tone in the institution he has served much of his adult life. 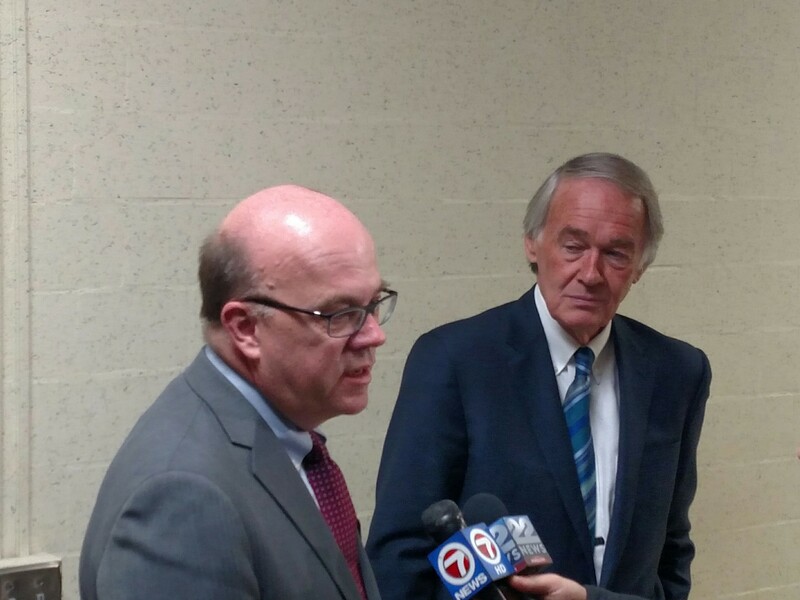 McGovern points to his mentor Joe Moakley’s response when asked if he would strike back at enemies upon becoming Rules chair. For some, Moakley replied, power is about saying no. Moakley saw it as the ability to say yes. McGovern said the latter is his credo as Rules chair. Once a Rules staffer under Moakley, McGovern later joined the committee. He became its top Democrat last year after Louise Slaughter passed away. 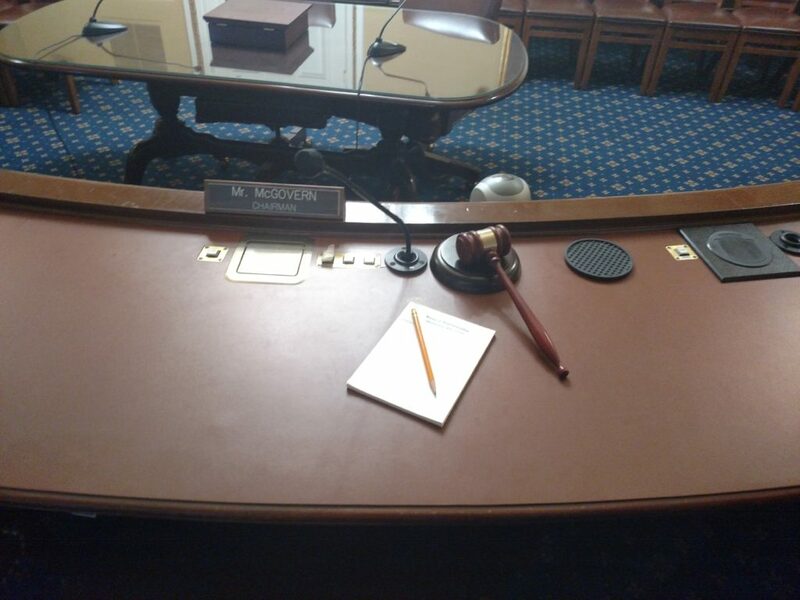 Today McGovern chairs meetings with a gavel his father presented to him. The elder McGovern—no, not that one—once headed the Worcester County Package Store Association. Embossed with the association’s name, that gavel rests in the Rules hearing room, waiting for the next meeting. Leading Rules puts McGovern at the table with other chairs and the speaker. There he can press causes like ending hunger and social justice and advocate for his district, which lurches west from Worcester to include Amherst, Greenfield and Northampton. 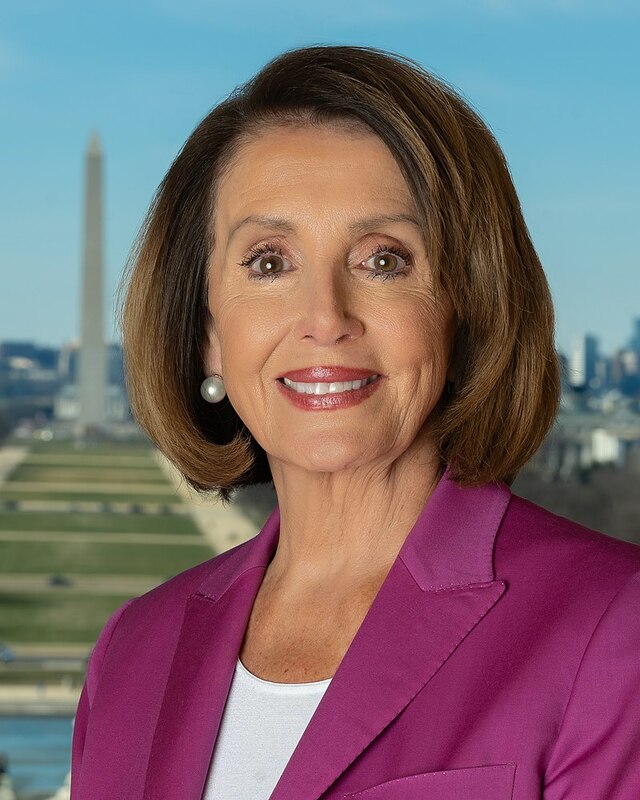 While called the speaker’s committee, House Speaker Nancy Pelosi has given McGovern wide latitude. For example, he has forwarded many amendments to the floor on bills like H.R.1. The numerical designation reflects its importance to the Democratic majority. In an occasionally ambulatory interview as he shuttled from his congressional office to the Capitol for votes, McGovern discussed his early weeks as Rules chair and his aspirations for the post. The GOP jeered H.R.1’s process and alleged insufficient review. Yet, the bill was available to read for two months. Plus, over 70 amendments went to the House floor. That volume of votes rankled some, but McGovern said the debate was essential. “Was it perfect?” McGovern said of H.R.1’s process, “No. But it was a good process, so I’m content with it,” he said. “Structured” rules allow votes on select amendments. The number of amendments varies, but a blend of (mostly) Democratic, bipartisan and Republican amendments under structured rules is typical. Some items have “closed” rules, barring any amendments. “Open” rules, essentially free-for-alls, are rare. “When you’re in the majority, you’re in the position to be more generous,” he quipped. Still, Cole said McGovern has tried to accommodate members, especially when they don’t sit on a committee that produced a bill. Cole even got a vote on his H.R.1 amendment. “We don’t agree on everything, but I think he knows I’m trying to help him accommodate Republican members as well,” McGovern continued. 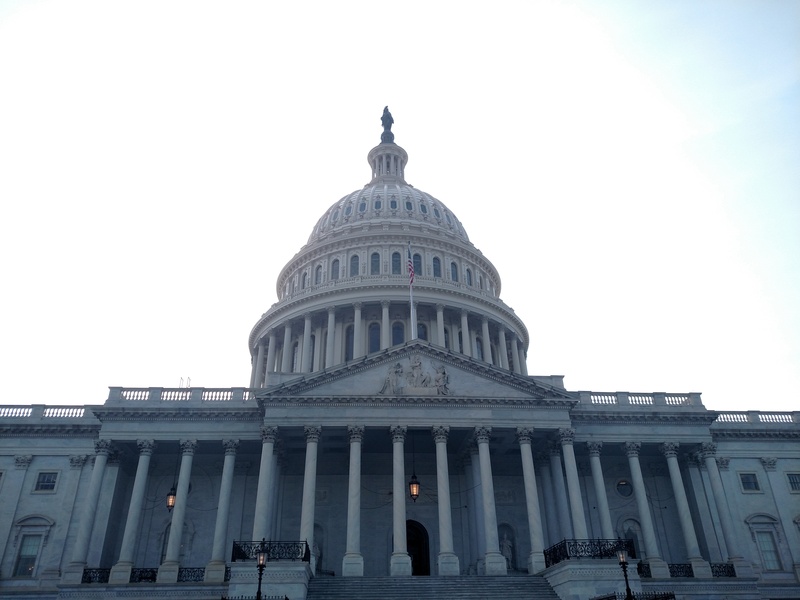 They are currently working on how appropriations bills will hit the floor later this year. Rules Committee minutiae may be among the drier congressional menu offers. Its machinations imply a world series of inside baseball and process stories to end all process stories. This impression is not exactly wrong, but it is facile. Better processes could improve morale House-wide. Even if the majority votes to smite amendments, debate and voting has value. “There is nothing that promotes polarization more than feeling you’re disrespected and you’re cut out of the process,” McGovern said. Though some GOP amendments McGovern allowed unexpectedly passed, he doesn’t doubt his approach. Rules Committee meetings, held in a cozy hearing room across from the House chamber gallery, are like any congressional hearing. However, most witnesses are other reps.
For example, Democrat Zoe Lofgren, the House Administration Chair, and her GOP counterpart, Rodney Davis, were the first witnesses at a nearly four-hour hearing on H.R. 1. Other reps testify to support their amendments. Then Rules Committee members vote on which amendments will go to the floor under the bill’s rule. Unless an amendment is bipartisan, a recorded vote—overwhelmingly in favor of the majority—follows. Behind the scenes, committee staff, crammed into a narrow Capitol office facing the Library of Congress, perform the grunt work. Lawyers, parliamentarians, fact-checkers and comms staff pore over amendments assessing their impact and germaneness to legislation. The chairman often meets with colleagues to help their amendments qualify for consideration. Both parties pass closed rules, McGovern acknowledged. However, he argues—and Cole did not dispute—the last few congresses set records. Rules mavens say it peaked under former House Speaker Paul Ryan. Even former GOP speakers Newt Gingrich, Dennis Hastert, and John Boehner—initially—never seized up legislation in the same way. McGovern tempered criticism of his predecessor, Sessions, who lost reelection last year. While they were personally friendly, McGovern lamented the almost completely closed floor process. He doesn’t want that legacy. “I think in the long run it doesn’t help my cause. It doesn’t help the issues that I care about,” he said. Nor is Pelosi commandeering the process. “She’s not coming in and saying, ‘here make these [amendments] order or don’t make these in order,’” McGovern said. “She’s given us full autonomy,” a sign, McGovern hopes, of her confidence in him. Pelosi’s office did not return requests for comment. McGovern was also cool to killing or gutting the motion to recommit (MTR), another piece of House arcana. It gives the minority a last chance to change a bill. “Republicans, and Democrats, quite frankly, have used it as a political weapon to play gotcha politics and to make the other side feel uncomfortable,” he said. It hasn’t been very effective in that regard. It is not clear how serious efforts to squelch MTRs are. The GOP’s successful MTRs prompted stories that claimed Dems were governing with two left feet. But the practical impact may be minimal. No items Republican attached MTRs to were ruined. Gun control legislation, whose MTR had loaded language about undocumented immigrants, still passed. Another successful MTR condemned anti-Semitism in the Yemen resolution. But that stripped it of privileged status needed to force Senate action under the War Powers Act. While frustrating, it was a temporary setback. The House passed the Senate’s resolution last week. Thus, ending MTRs and giving the GOP fewer rights than minority Dems had makes little sense to McGovern. “I don’t feel comfortable. I don’t think it’s the right thing to do,” he said. “There have been some calls to change that. He’s been a voice for saying ‘what goes around comes around,’” Cole observed. Freshman Dems in iffy districts were mainly why Republican MTRs were passing. They may be catching on. Dems dismissed the GOP motion on H.R.1 as a distraction. It largely restated existing law barring noncitizens from voting in federal elections. Dems also rejected Republicans’ MTR when the Senate’s Yemen resolution came up. McGovern’s biggest Rules project to date began before Democrats won the House. Last summer, Pelosi tasked McGovern with drafting a Democratic rules package ready to go if Democrats won. House rules touch everything from committee jurisdiction to floor procedure and offices administration. Normally, a small group writes the rules with little input “and no one knew what the hell was in it” when the its vote happened, McGovern said. “We wanted to do things differently than the way they had been done by Republicans and Democrats in the past,” he continued. Over many months, McGovern consulted with caucuses, committees, members, incoming freshman and groups of members. Among the big changes were firmer directives about committee reviews and markups before Rules would consider a bill. Bills must be available for 72 hours before floor votes. As for personnel, the House rules now formally bar sexual orientation discrimination, another long-overdue, if obvious, change. The Rules also established a Select Committee on Modernization of Congress. With an equal number of Democrats and Republicans only bipartisan ideas can advance. It will consider ideas not ready for 2019 and the changing needs of Congress itself. For example, it may recommend tailoring floor and committee schedules for members balancing family needs across the country. Aides also note the select committee’s composition helps hold McGovern accountable, too. All of it, however rosily, aspires to become an antivenom for Congress as a whole. While the Republican Senate will smother House Dems’ agenda, like H.R.1, in an odd way, that may provide another opening. Some Republicans understand Democrats are showing action on the agenda voters elected them on. But in between such bills, there could be—and is—room for other issues. Ironically, one example was a public lands bill that passed under suspension of rules. It permanently reauthorized land and water conservation programs. The Democratic House, unlike its Republican predecessor, was willing to take it up. Being fundamentally nonpartisan, it sailed through the Senate and across Donald Trump’s desk. As with allowing more amendments, moving wildly popular legislation can build trust. It won’t change conservatives like Cole or liberals like McGovern. But maybe the House can tiptoe toward function after a decade of nastiness and turmoil. Indeed, Cole said he and McGovern have discussed working on Native American issues, traditionally nonpartisan affairs. Cole, a member of the Chickasaw Nation, added that McGovern’s interest was a pleasant surprise given the small native presence in Massachusetts compared to Oklahoma. “When something is open and really is bipartisan, I think he’ll work to accommodate it,” Cole said. A politics with earnest eagerness for cooperation can feel like from another lifetime. In a way, it might be. McGovern was a longtime House staffer and Cole, before his election to Congress, served in Oklahoma government and national Republican political committees. But perhaps that ethos, bit by bit, can renovate institutions charred by years of flamethrower politics. “I think in the long run if we can continue that, the political climate around here will become a little more civilized,” McGovern said.